When we talk about the altitude of coffee, this is measured in metres from the sea level. This is referred to as MASL or metres above sea level. Does the altitude make any difference? Oh yes. The altitude that a particular coffee is grown at will change many aspects of the coffee; including the flavour, size and shape of the bean. Coffee grows in one of two optimal growing climates. The first of these is a sub-tropical climate which can be found on the edges of the equatorial climate. The equatorial climate is the ‘band’ that runs around the earth between 10 degrees north, and 10 degrees south of the equator. Subtropical climates run from 16 degrees to 24 degrees, both north and south of the equator. When it comes to altitude, depending on the climate mentioned above, coffee will grow at slightly different elevations. For subtropical regions, the elevation of the coffee is usually between 550 and 1100 metres above sea level. There must be a distinct difference between the rainy and dry seasons too. For equatorial regions, coffee is usually grown at between 1100 and 2000 meters above sea level. Within this region, frequent rainfall helps toward the almost continuous flowering of the coffee plant; resulting in two harvests a year. Generally, coffee roasters prefer beans that are grown at higher altitudes. This is because the cool air that the beans are exposed to will delay the time that the beans take to grow. This longer growing time will result in stronger, fuller flavoured coffee beans compared to those grown at lower altitudes. High altitude coffees will have flavours which often include chocolate, fruit, vanilla, spice and nut. Beans that are grown at higher altitudes are able to hold their flavours for longer during storage too. This is a result of the slower growing beans becoming denser and harder, leaving fewer ‘gaps’ in the cell structure for these things to escape. Arabica beans (the ones we roast) are grown best at higher altitudes. Growing at higher altitudes can however put a strain on the beans, which makes it harder for the farmers to grow in volume. This makes these more expensive to grow than their lower altitude siblings, not to mention the logistics of getting coffee down from such a height. Beans that are grown at lower altitudes tend to have low acidity and more subtle flavours due to higher temperatures and less rainfall making it easier for the coffee cherries to ripen. Lower altitude coffee beans don’t take as long to ripen either. This means they can produce a higher yield, but they need to be treated differently to beans that have been grown at a higher altitude. The structure of the beans is generally a lot softer than those that have been grown at higher altitudes too. This softer structure means the beans are more delicate and therefore extra care has to be taken as not to scald softer beans while roasting. During storage, these beans can lose their natural flavours pretty quickly. Firstly, they were not as prominent to start with, and secondly, their less dense, soft cell structure makes it easier for flavours to escape. Anything grown under 1000m would usually be classed as a “low altitude” coffee. So there you have it, the answer to How Coffees Change Depending On Altitude. 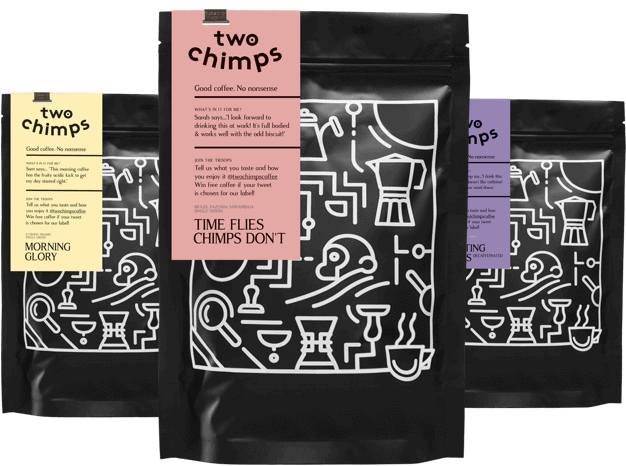 Want to know more about our coffees and their altitudes? Head over to our shop and find the ‘The Nuts and Bolts’ section for each coffee.